In a small town ravaged by the opioid crisis, a woman confronts a dark secret about her brother’s shocking death—a gripping novel of suspense for fans of Sharp Objects and S-Town. Sadie Keller is determined to find out how her brother died, even if no one else thinks it’s worth investigating. Untimely deaths are all too common in rural Blackwater, Kansas, where crime and overdoses are on the rise, and the small-town police force is consumed with the recent discovery of a child’s skull in the woods. Sadie is on her own, delving into the dark corners of a life her brother kept hidden and unearthing more questions than answers. Eighteen-year-old Henley Pettit knows more than she’d like to about the seedy side of Blackwater, and she’s desperate to escape before she’s irreparably entangled in her family’s crimes. She dreams of disappearing and leaving her old life behind, but shedding the past is never easy, and getting out of town will be far more dangerous than she ever imagined. As more bones are found in the woods, time is running out for Sadie to uncover the truth and for Henley to make her escape. Both women are torn between family loyalties and the weight of the secrets they carry, knowing full well that while some secrets are hard to live with, others will get you killed. 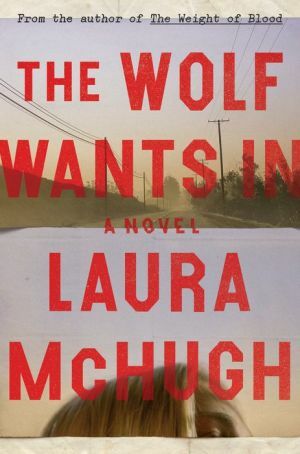 Like Laura McHugh’s previous award-winning thrillers, The Weight of Blood and Arrowood, The Wolf Wants In is an atmospheric, beautifully told novel that barrels toward a twisting, chilling end and keeps us turning the page to find out how these small-town secrets will unravel—and who will survive.